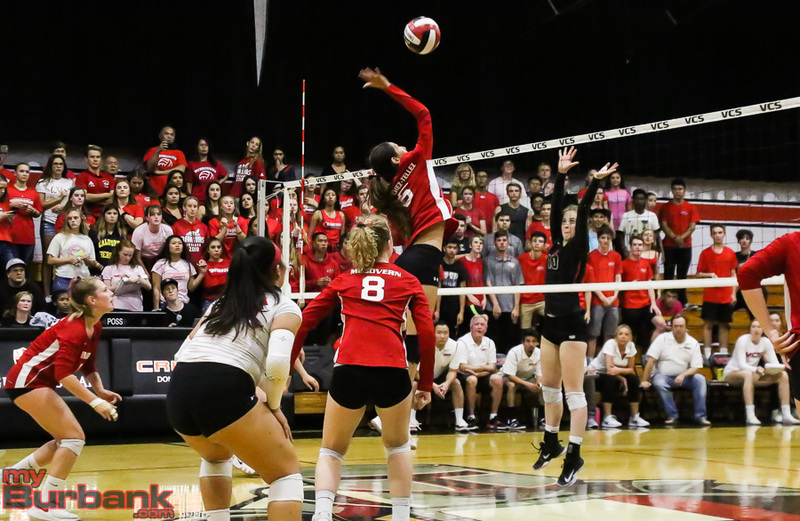 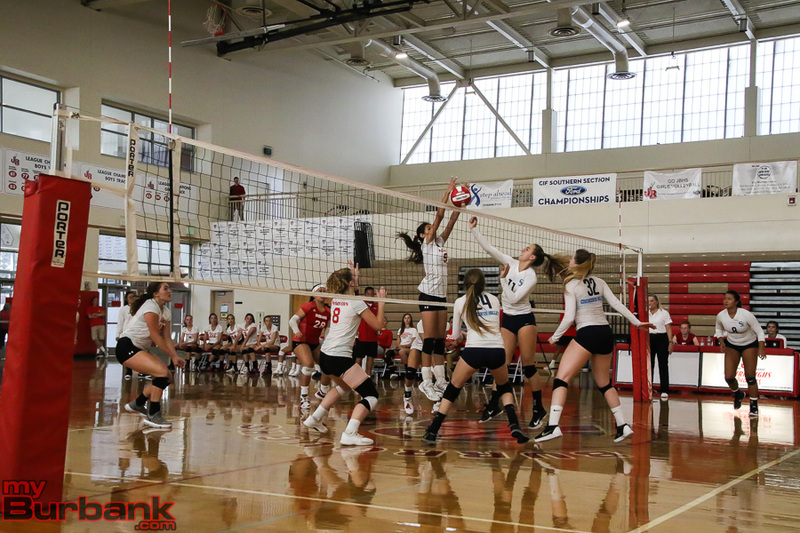 Playing in the quarterfinals of the CIF Southern Section playoffs for the third time in four years, the Burroughs High girls’ volleyball team has certainly set the bar high as a program. 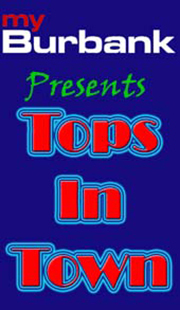 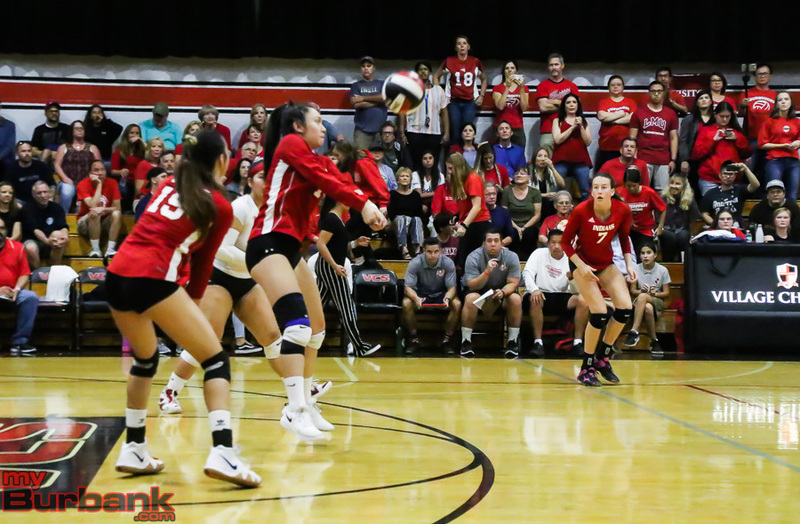 But getting to the semifinal is something the Indians have not done and were looking to do Wednesday night. 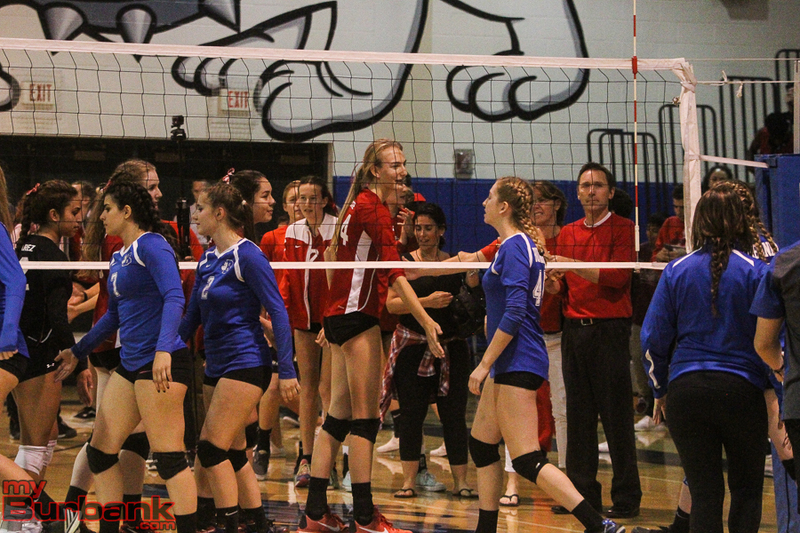 At times it looked like the Indians were ready for an upset. 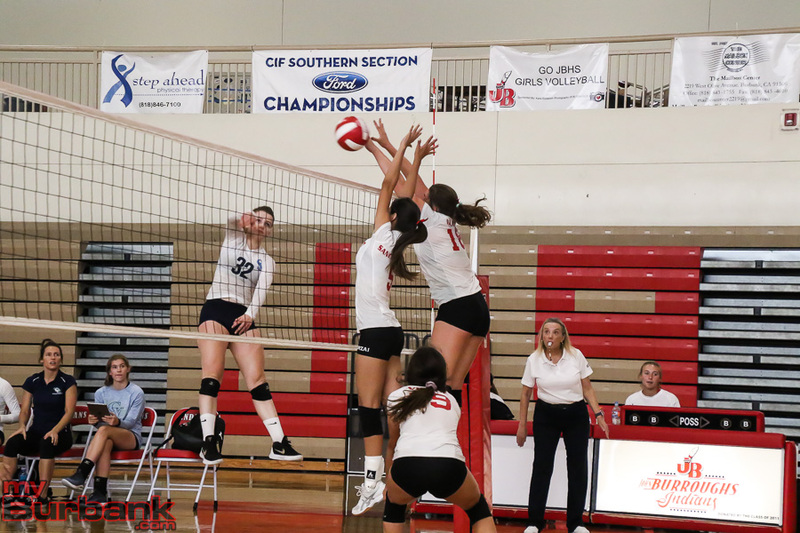 In the end, it didn’t happen as top-seeded Village Christian of Sun Valley outlasted the Indians 25-17, 21-25, 22-25, 25-15, 15-11 in a CIF Division 3 contest. 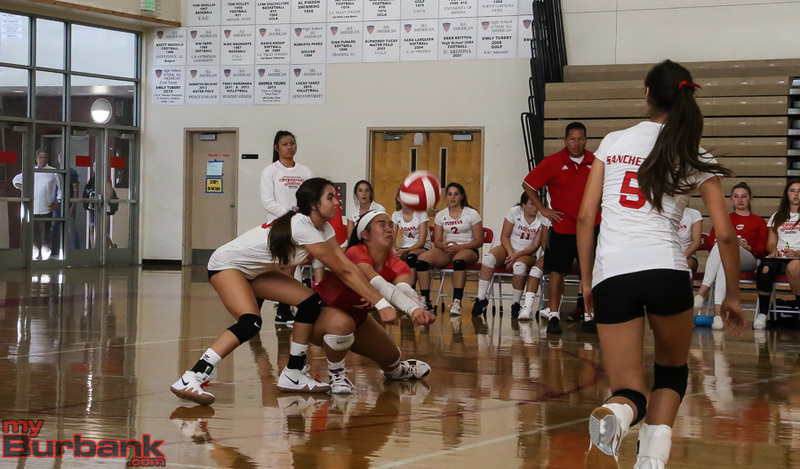 Burroughs coach Edwin Real said he didn’t want his players to have any pressure. 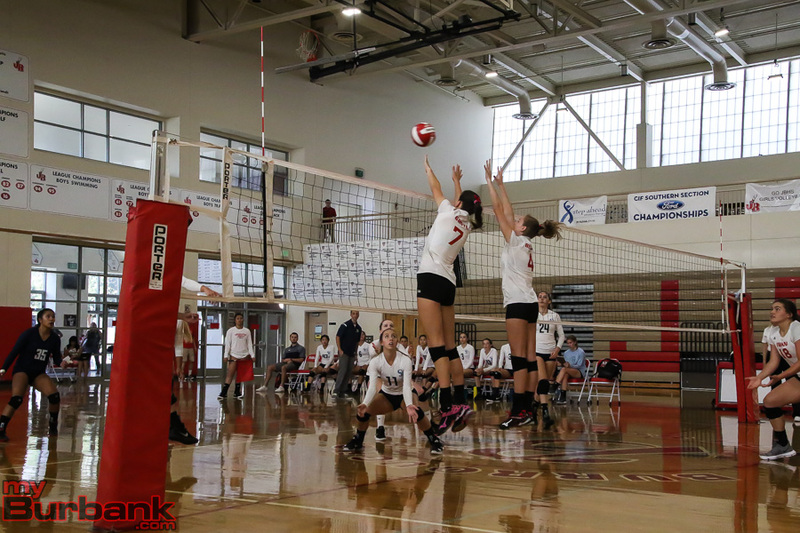 In the fifth and deciding game, Village Christian jumped out to an early lead. 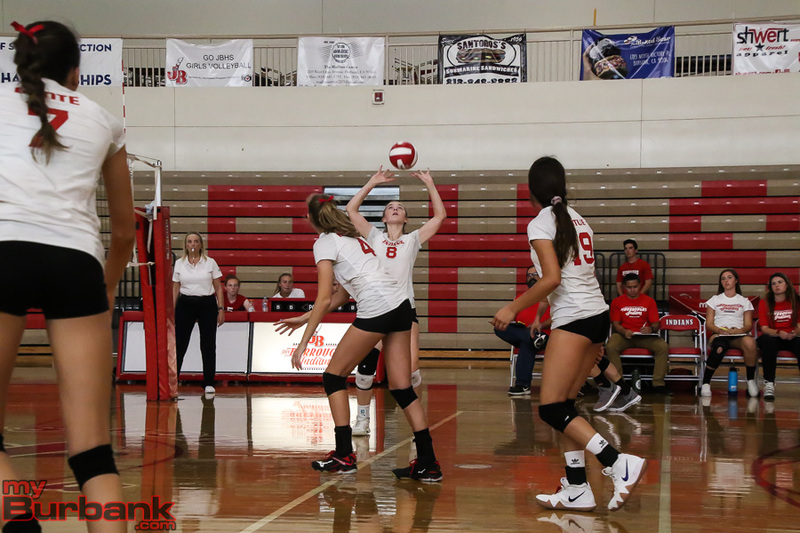 Sophomore Catie Virtue had a kill to cut the deficit to 8-6. 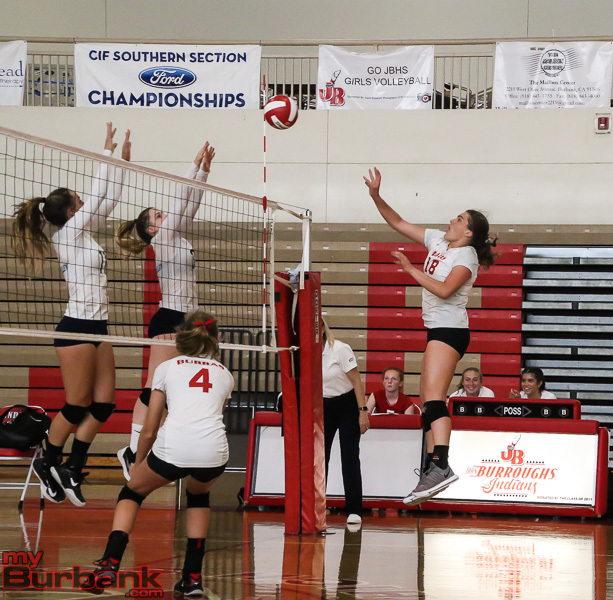 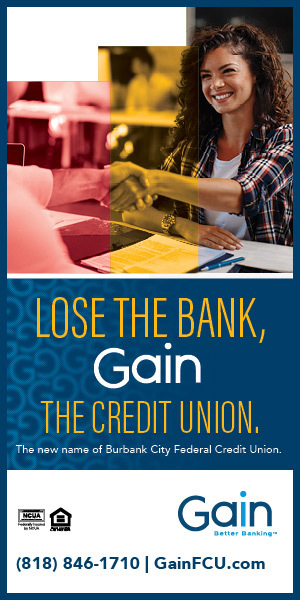 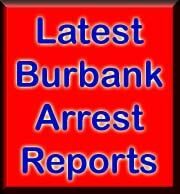 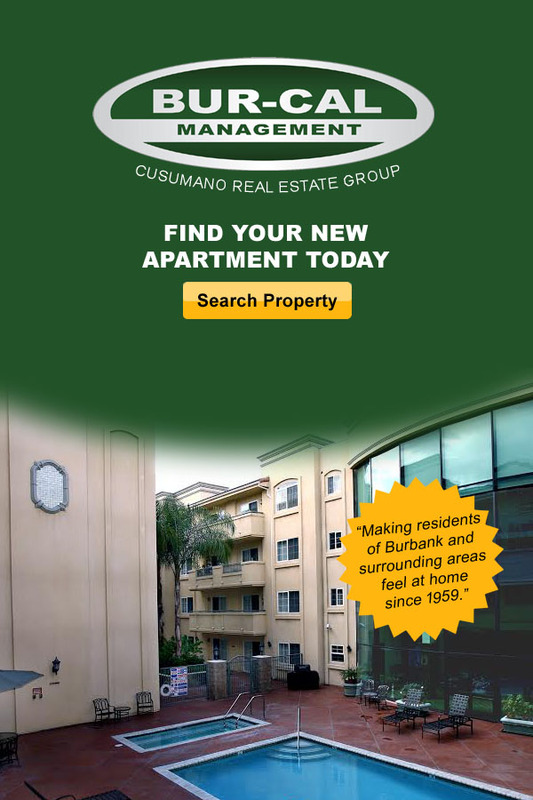 But the host Crusaders (33-9), which have four players who live in Burbank, would not be denied. 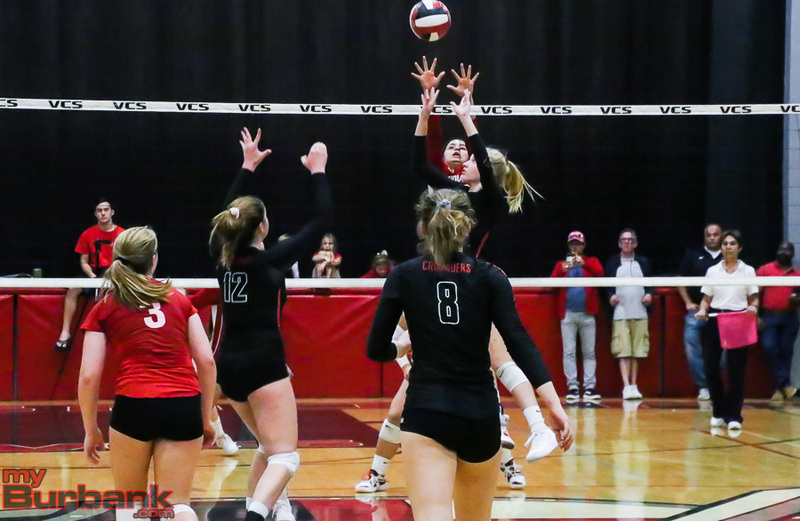 Village star Mackenzie Jensen had five kills in the final game alone. 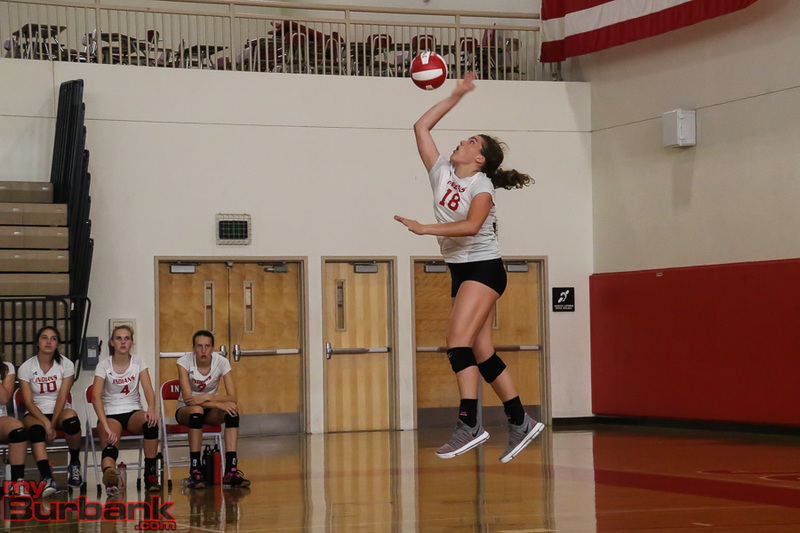 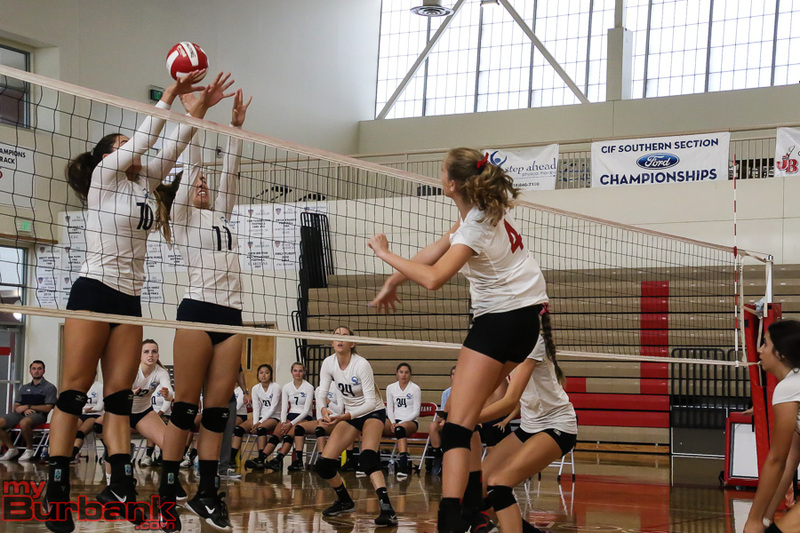 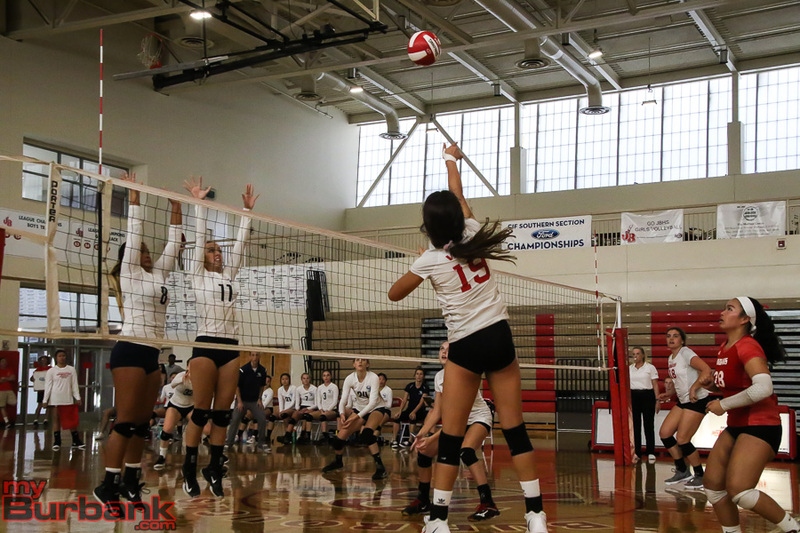 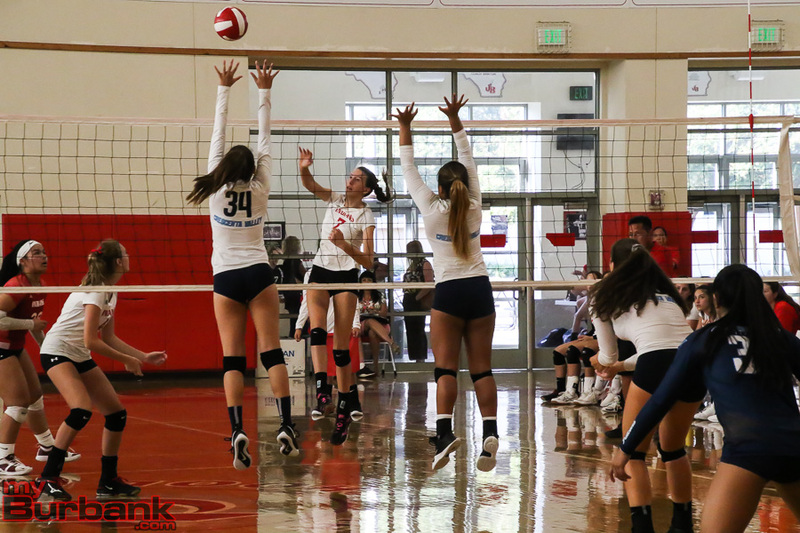 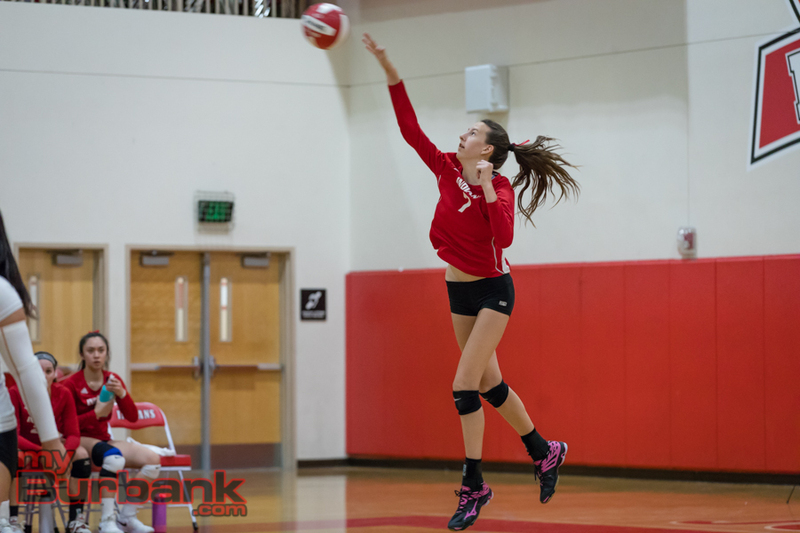 Burroughs (27-9) received a fine effort from Juliana Van Loo, who finished with 19 kills. 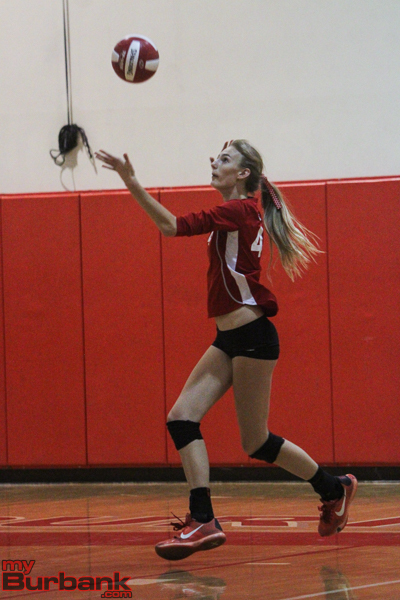 Lydia Grote had 15 kills for the Indians. 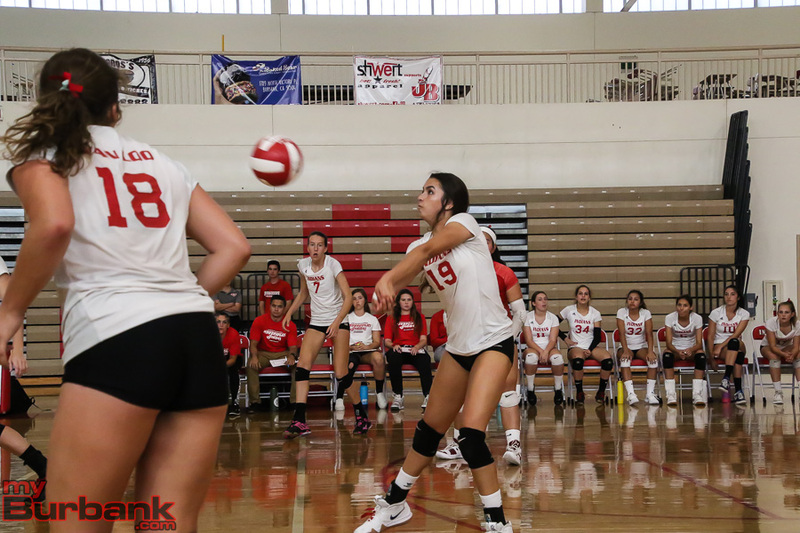 The duo helped Burroughs rally from an 11-6 deficit in the second game to turn the match around. 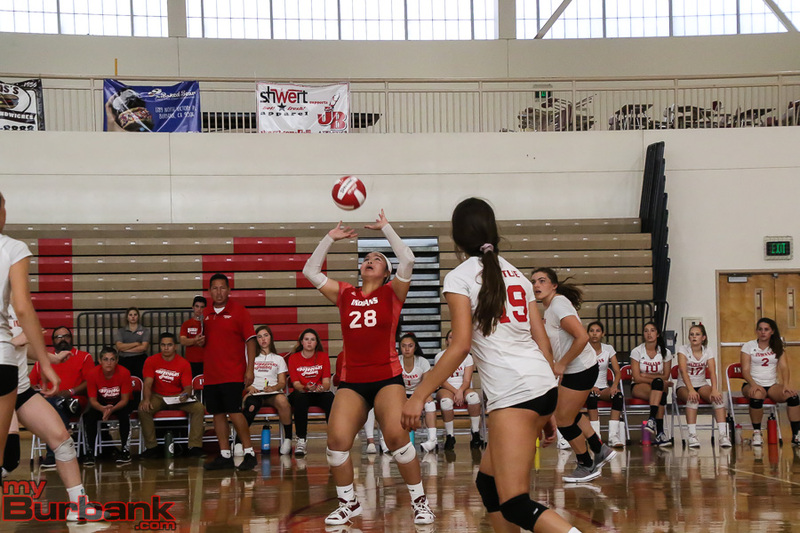 Van Loo had a pair of kills and Burroughs received a key ace from Caitlin Lim. 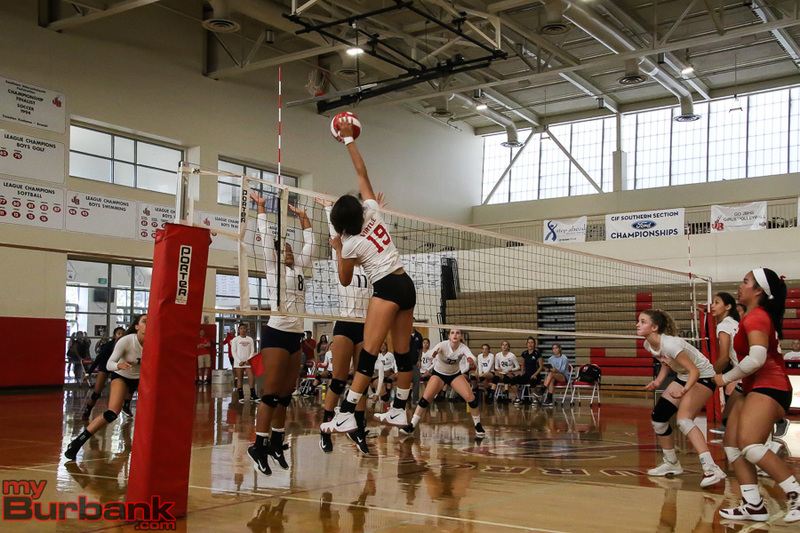 Burroughs fell behind 11-6 in the third, before storming back to take a 15-12 lead and eventually winning 25-22. 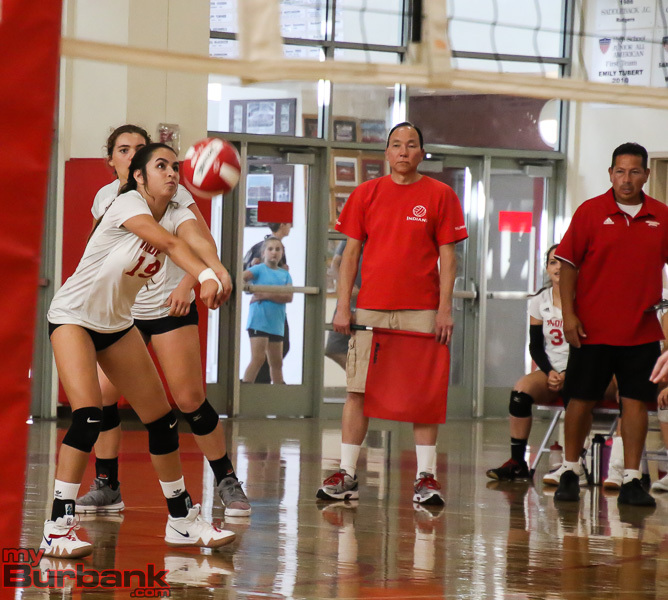 The Indians and Crusaders were tied at 10 in the fourth game when Burroughs went into a slump and was unable to recover. 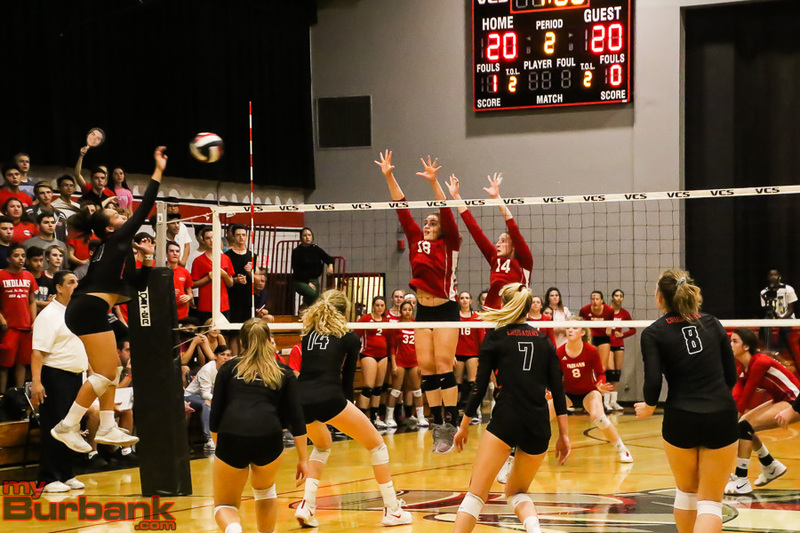 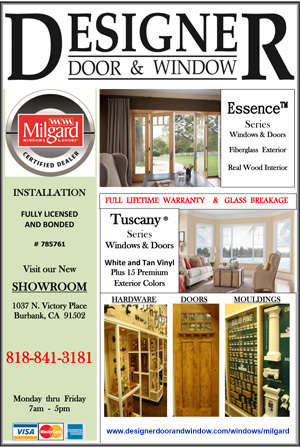 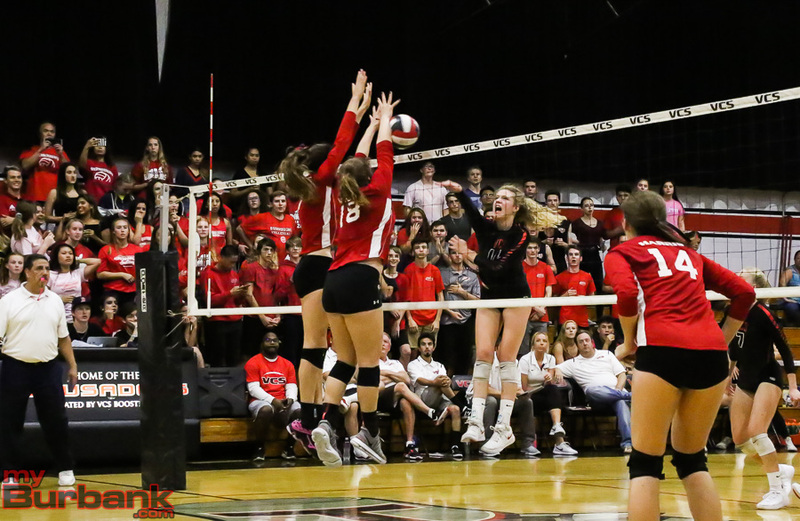 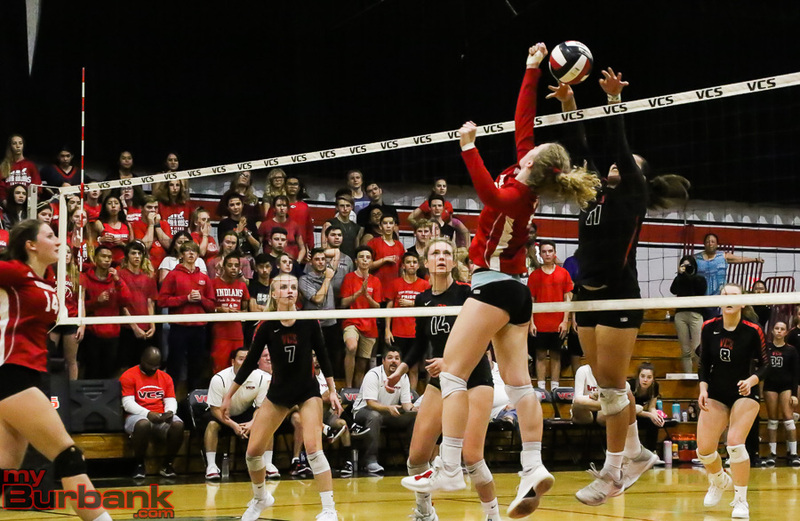 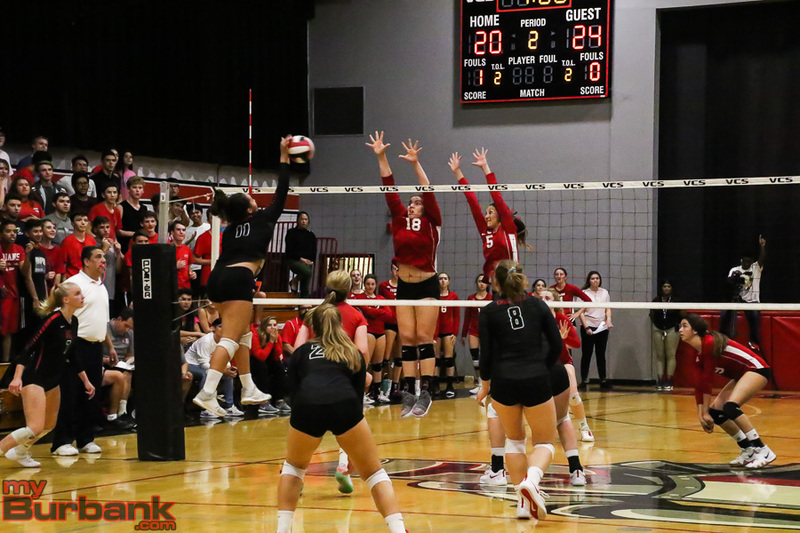 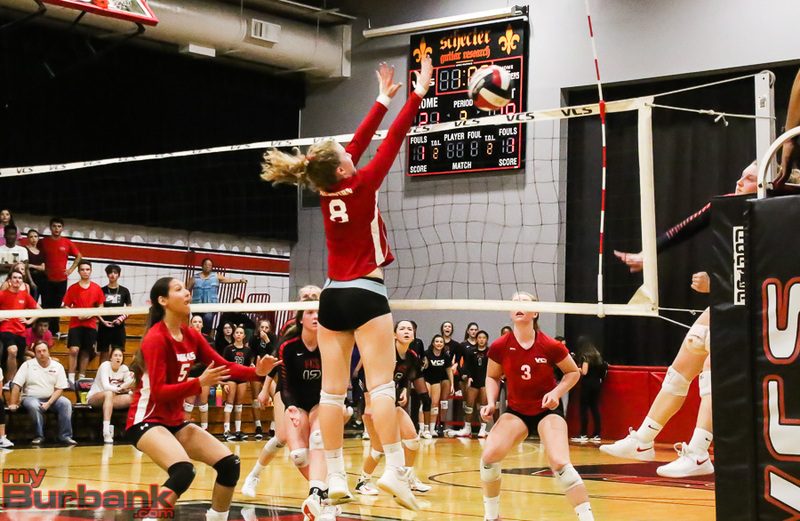 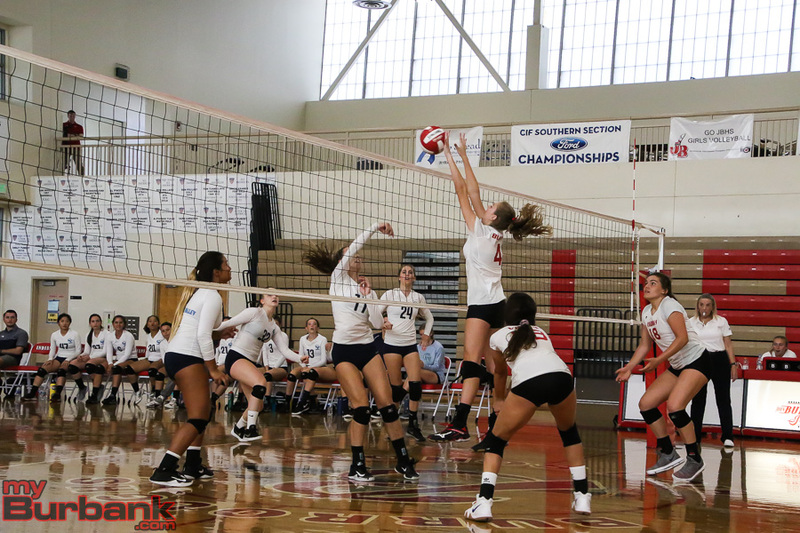 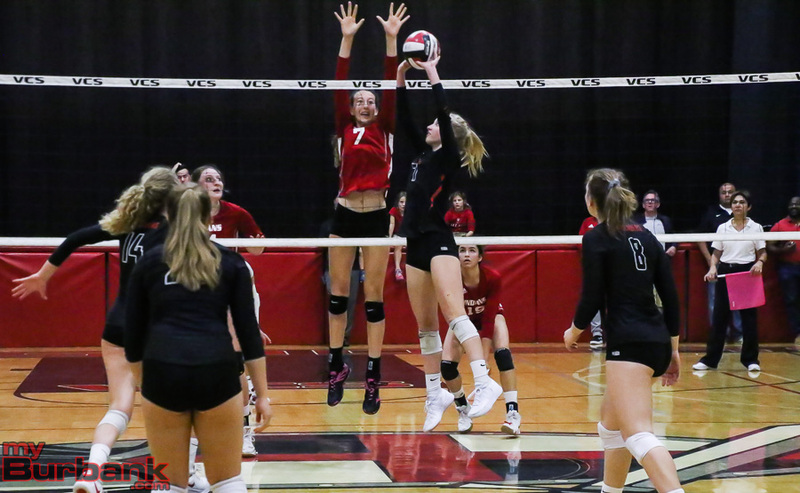 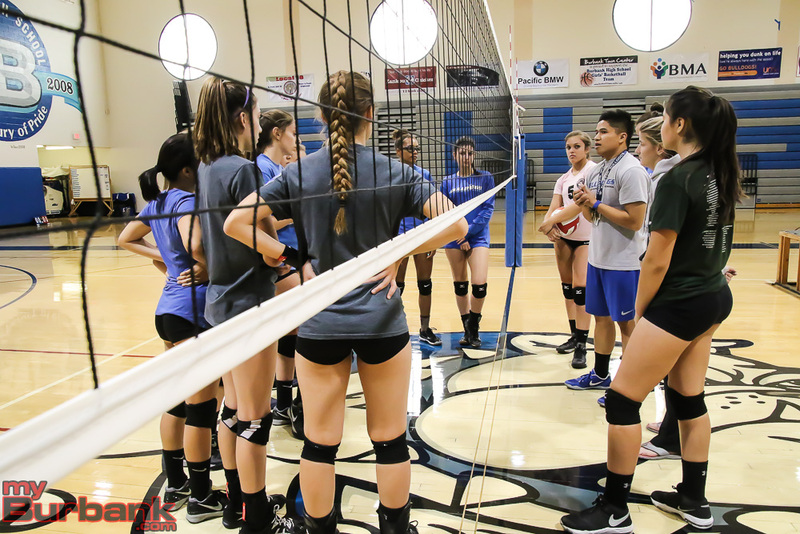 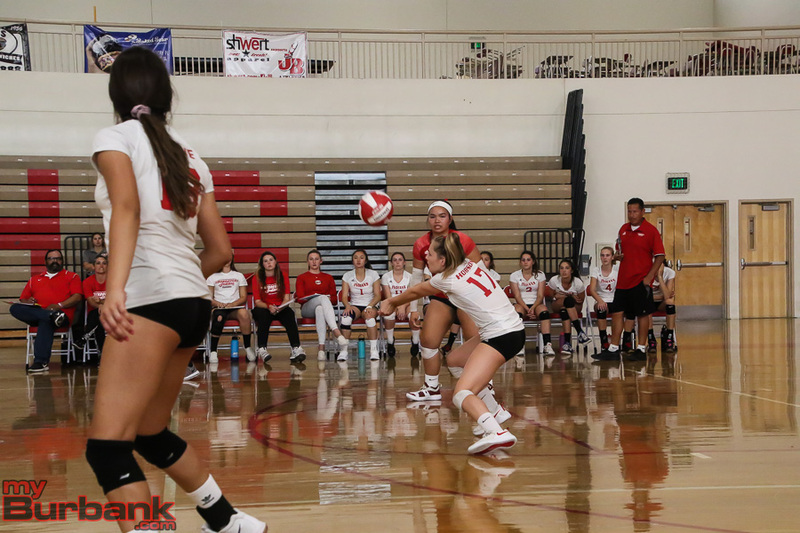 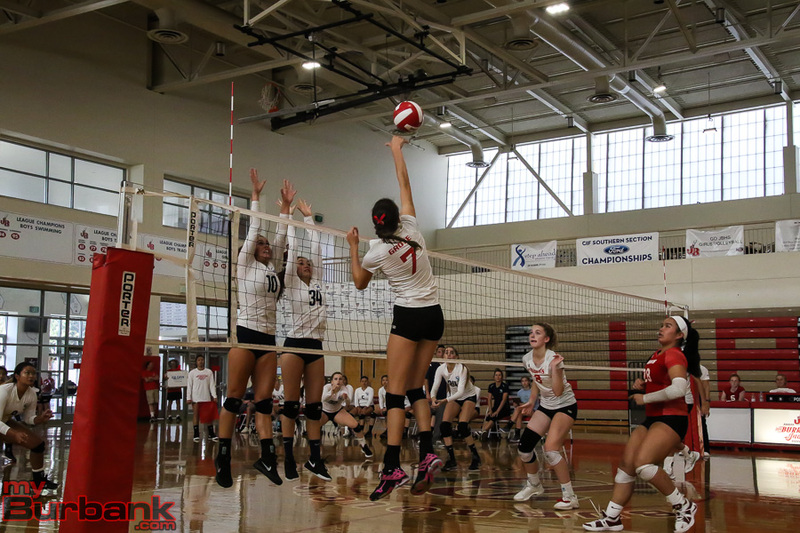 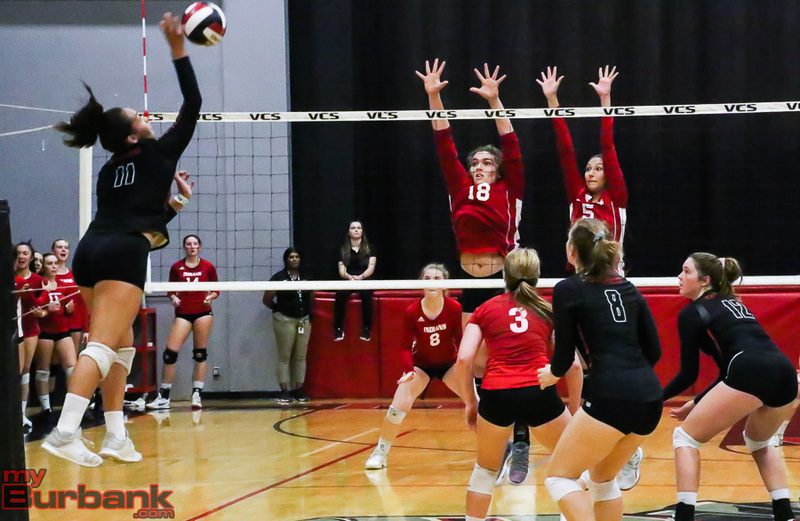 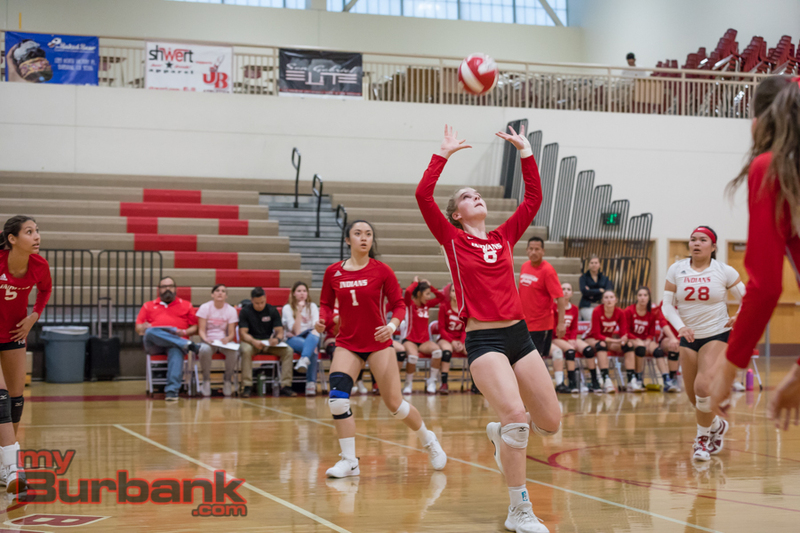 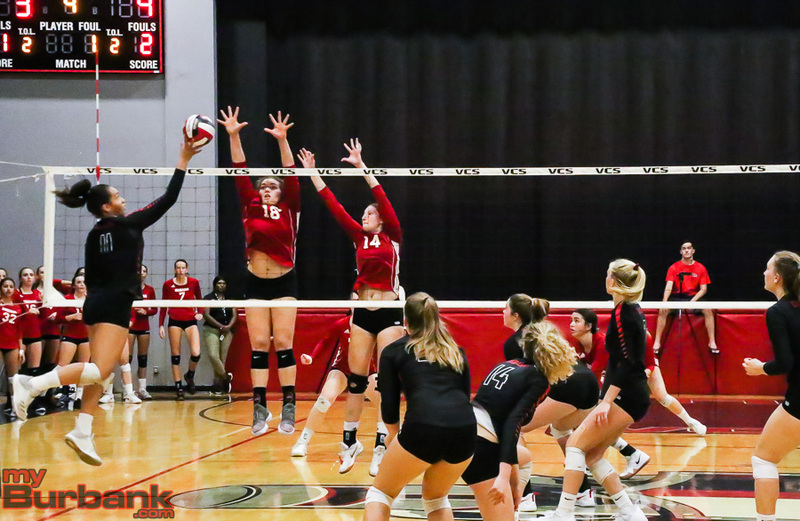 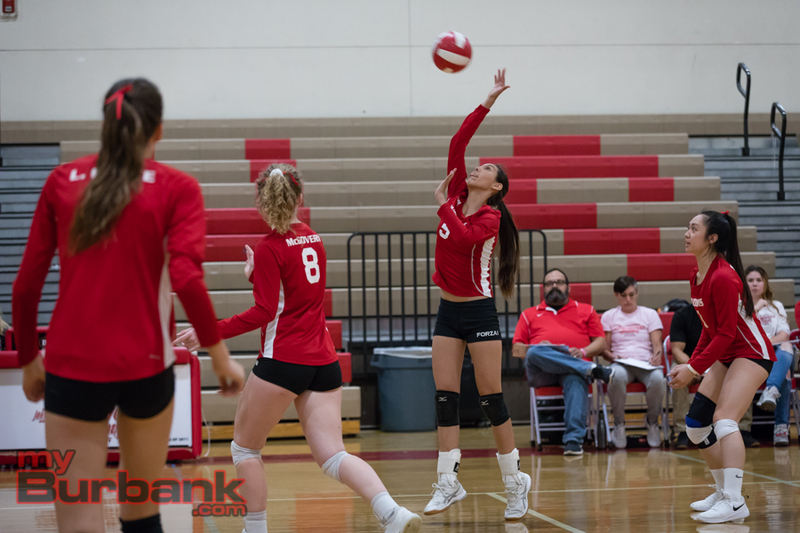 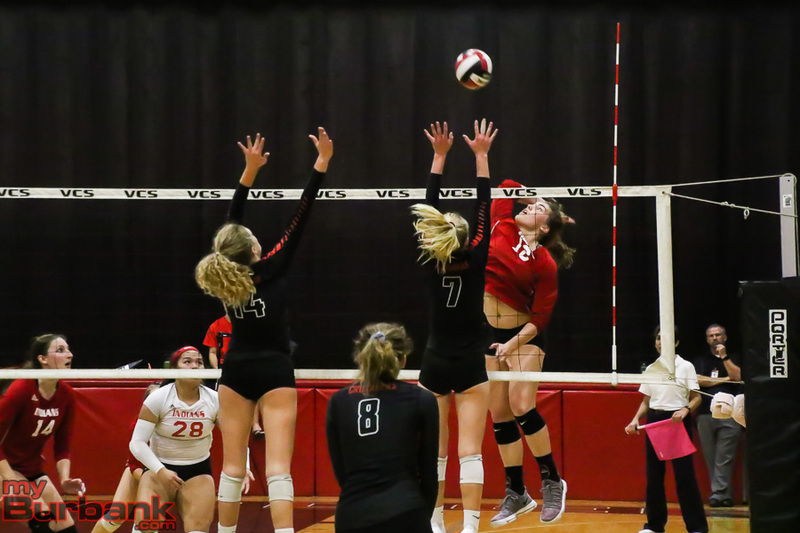 This entry was posted in Girls Volleyball, Sports and tagged Burroughs girls volleyball, Caitlin Lim, Catie Virtue, Juliana Van Loo, Lydia Grote on October 25, 2018 by Jim Riggio.